Every year that goes by marks an important milestone for any occasion. Whether it’s a wedding anniversary or any other special event, you can upload your own photos and create custom anniversary cards with your own personal touch! 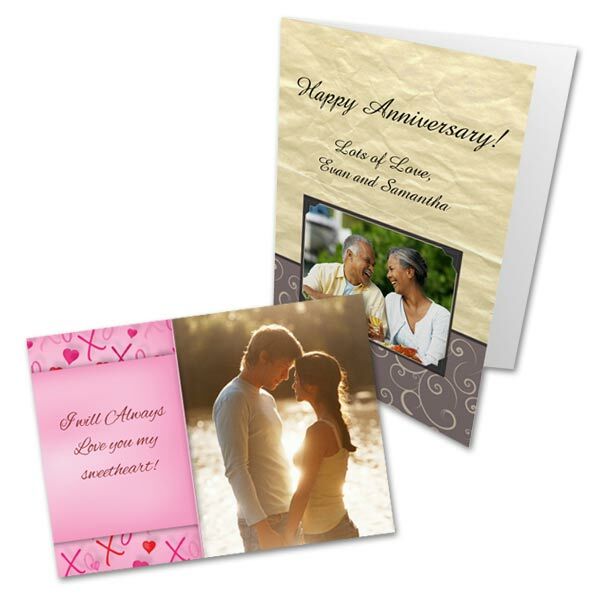 Choose from a range of styles including custom folded greeting cards and pictures on cardstock for the perfect commemoration of an upcoming anniversary.